Your training will be in a Cessna 150. The airplane is equipped with the pilot's seat and a co-pilot's seat. The flights listed on this page are fantastic flights to give a student pilot! They are a recommendation. If your student pilot has a particular area they would like to fly over during their training those flights can certainly be arranged as well. 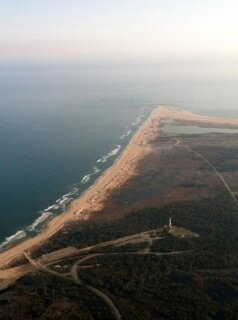 The Outer Banks is an amazing place to complete your flight training. The scenery offers a safe and consistent setting to train student pilots with plenty of wide open space for maneuvering. Not to mention the sight is breathtaking and every flight will leave you feeling rewarded and accomplished. Call today to speak to one of our instructors @ (252)489-8165 or book online one of the flights below. We offer gift certificates for any of our flights or even multiple hours of instruction. We are happy to accommodate custom flights also. Includes a brief pre-flight ground school and flying time with a certified flight instructor. Take your first steps towards your private pilot's license with us today. You'll be hooked! Book online for 1 on 1 instruction or you can book an intro flight and have up to 2 passengers plus student. Click the book now button for pricing and availability! $100 per hour for the Aircraft Rental. The Cessna 150 is one of the safest and most reliable airplanes ever built which is why it's used commonly for primary flight instruction. $55 per hour for a Certified Flight Instructor's time in the airplane. Picture: Pilot Jenny Hawk arriving at Dare County's Runway 5 in a Cessna 172. ALL FLIGHTS CAN BE PURCHASED AS A GIFT CERTIFICATE. JUST CALL, EMAIL OR TEXT JENNY AT 252-489-8165. Extended Flight training lesson 1 hour and 30 minutes towards a Private Pilot's License! This flight is a great flight for either your first flight or you can enjoy this flight after the Introduction to flight training. During this flight you will be encouraged to use the flight controls the whole time including helping with take-off and landing. This flight includes an introduction to navigating as a pilot. We will begin at the Dare County Airport and fly south down the beautiful Outer Banks to Hatteras Lighthouse in Buxton, just east of Hatteras Island. This is a breathtaking flight and a wonderful way to begin training to become a pilot! The cost of the flight also includes ground instruction of up to 30 minutes. 3 Hours of Flight Instruction with over 30 minutes of instruction before and after each flight. $55 per hour for a Certified Flight Instructor's time in an airplane. 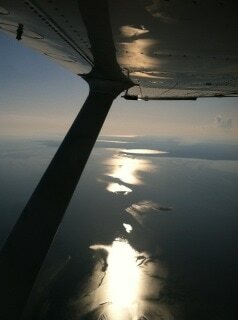 Lunch on Ocracoke Island -2 Hours Logged towards the "Cross-Country" requirements of a Private Pilot's License. On this flight you will log over 2 hours of flight time. Including 2 take-offs and 2 landings. It takes about 40 minutes to get to Ocracoke Island from the Dare County Regional Airport in Manteo. Ocracoke Island is hard to get to by land. If you've ever driven to Ocracoke and taken the ferry you know that the lines can be long and the drive is over 3 hours. *This flight is subject to the flight instructor's availability during the summer season. This flight can not be conducted for hire to drop the student pilot off in Ocracoke, it is an instruction flight with a Certified Flight Instructor to and from Ocracoke Island. This package includes at $10 discount off each hour of flying.Complete your initial solo and most of your dual cross-country requirements. 6 hours of ground instruction with your CFI. CALL JENNY AT 252-489-8165 TO DISCUSS OPTIONS, INDIVIDUAL REQUIREMENTS AND AVAILABILITY.